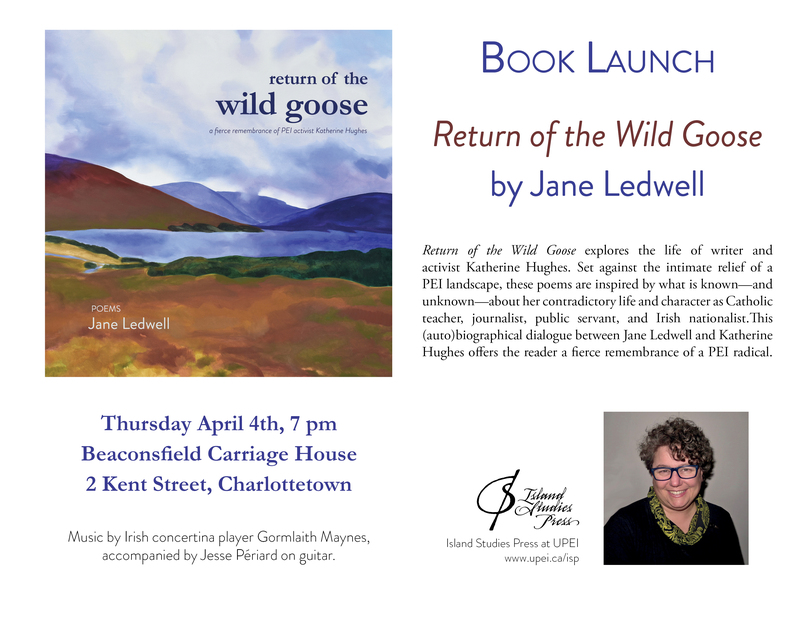 Jane Ledwell will launch her new book Return of the Wild Goose on Thursday April 4th at 7 pm in the Beaconsfield Carriage House in Charlottetown. Jane will be joined by Irish concertina player Gormlaith Maynes, accompanied by Jesse Périard on guitar. Please join Island Studies Press and Jane Ledwell in celebrating this new book. For more information about the book or the launch, please contact Bren at ispstaff@upei.ca or call (902) 566-0386. Thanks to everyone who came out to the launch! 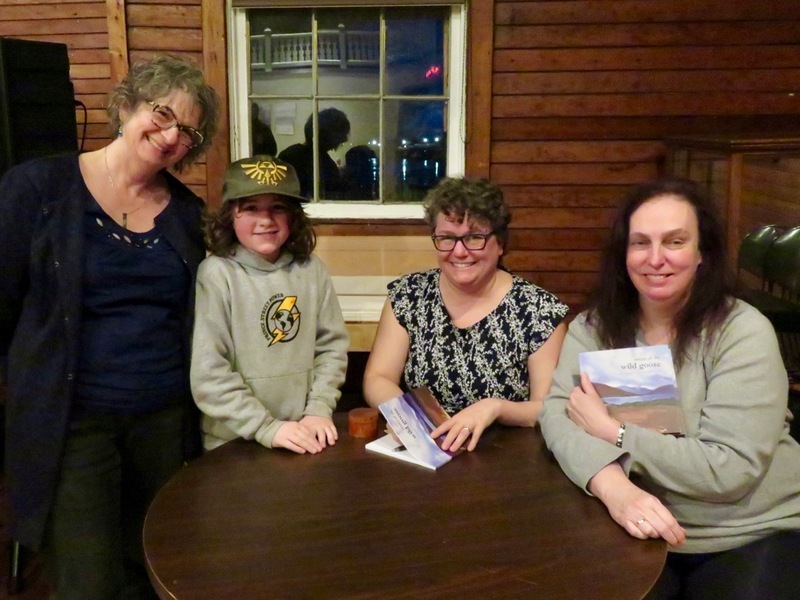 Shown here (L to R): Laurie Brinklow who read the voice of Katherine Hughes, Jane’s son Sam, Jane Ledwell, and Christine Trainor whose artwork is featured on the cover. 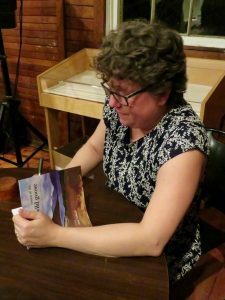 Right: Jane signing a copy of Return of the Wild Goose.